Yesterday saw 17 French ski resorts and regions gather in London for the annual France Montagnes UK press launch. Resorts including La Clusaz, Les 2 Alpes, Les Menuires and Tignes were joined by regional organisations Savoie Mont Blanc and the French Pyrenees as they briefed the UK press on all their new developments for the 2018/19 winter season. 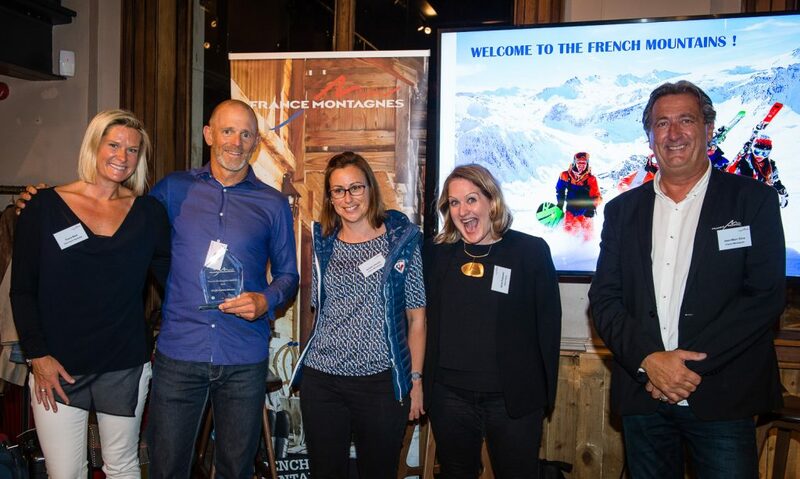 The evening also included the presentation of three awards for the best pieces of journalism about French ski resorts during last winter. 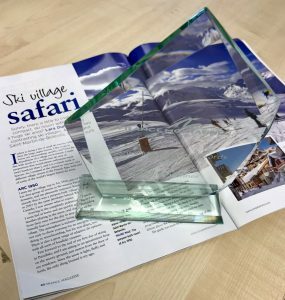 There were 40 articles nominated and we are delighted to announce that Iain Martin from Skipedia was one of the evening’s winners – for ‘Best Online Article’. Iain’s winning article ‘Pyrenean Powder Hunting’ – on backcountry skiing off the back of the Pic du Midi, in the Grand Tourmalet ski area – was published on InTheSnow.com in January. 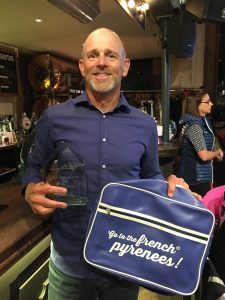 Two years ago, Iain was short-listed for the same award for his article about the Les 2 Alpes Night Snowtrail, which was published on the Men’s Running Magazine website, but this time the judges decided that his work was worth top spot. The other winners were Lara Dunn from France Magazine for ‘Best Magazine Article’ and Ben Clatworthy from The Times for ‘Best Newspaper Article’. Well done Iain, very well deserved!